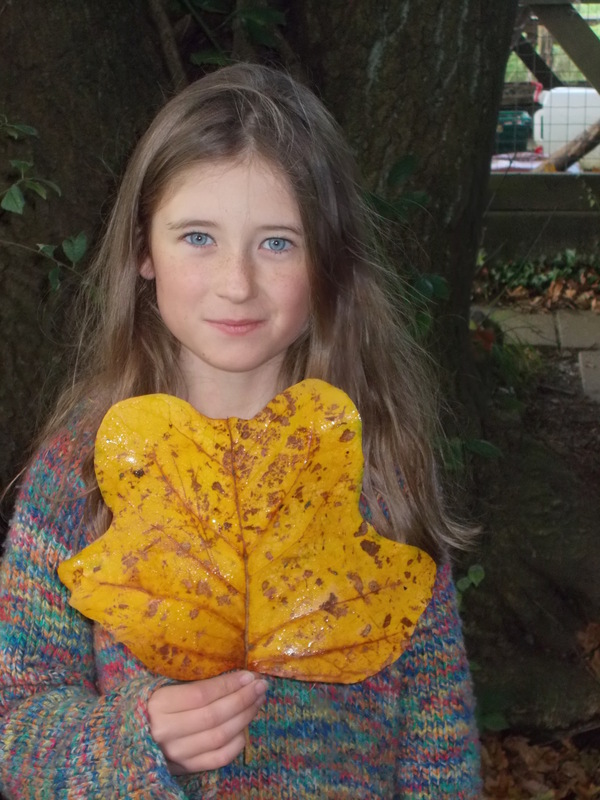 I found this massive leaf, when walking around the farm where we live!! It’s huge!!! A knowledgeable friend told me that it’s blown off of a tulip tree. I researched about them and found out that it’s sometimes called canoe wood as the native americans used to make canoes out of their light, buoyant trunks. It was also the native americans that first discovered it’s medicinal purposes too. It’s roots can be good mixed with whiskey and taken as a cough tonic. The leaves can be made into a poultice and applied to burns, wounds and inflammation, some people used it to treat arthritis!!!! It’s Latin name is, liridendron tulipifera , meaning ‘ lily tree bearing tulips’. Yesterday I went to our swimming lessons and when I got home I thought I’d left my library book and a work book at the sports centre. It was full of everything I’ve done, my school work, my letters, my projects, everything. I panicked and called up the pool asking them if they’ve found it, they hadn’t. I am always forgetting things and leaving things behind, simply because I’m not concentrating . I was really upset because they were important to me. Dad said I’ll learn my lesson and at least I won’t forget so easily again. In the morning we found them in the car and I’ve learnt my lesson. Raystede Animal Rescue Centre Yesterday I went to Raystede with a group of home-ed friends. We learnt about ‘adaptation’ – how animals adapt to their environment. I met a Sulphur Crested Cockatoo, called Edwina, who had lost many of her feathers and a Mediterranean Tortoise called Megan, who poo’d on the floor. Raystede is really cool, it rescues, looks after and then tries to re-home as many animals as possible. Check this out, it’s probably my best poem ( I wrote it). Once I saw a lovely lady, she was standing right there, her eyes were deep blue and her hair was blond and fair. “With you?” she said, as she took out her parasol. “Yes,” I answered, “we’ll go down to the park and watch the puppet show”. So I took her arm and we walked down the road, down to the park and the Punch and Judy shows. We walked up the avenue of trees, we sat on the grass and listened to the peaceful humming of bees. I picked her a flower and we sat together for many an hour. Until she said she must go, she hurried away and said she’d be back next day, but I never saw that lovely lady again. This is my first post on my blog , A light in the darkness!!! I’m really excited about it!!!!! A huge thanks to Ollie , who helped me to create this and Alice for making us tea (or yannoh, in my case). I’m soooooo excited about this and it’s gonna be AWESOME!!!!!!! !